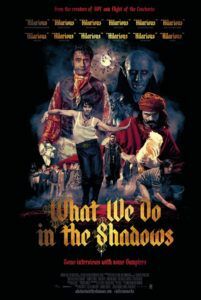 An overexposed subgenre and a tired format are revived to hilarious effect in Taika Waititi’s and Jemaine Clement’s What We Do in the Shadows. This New Zealand production about a quartet of vamps living together in a Wellington house takes the form of a Christopher Guest-style mockumentary, but also has threads of MTV’s The Real World and even moments that belong in a “found footage” horror yarn. Here, an unseen documentary film crew (protected by crucifixes), seemingly funded by a New Zealand documentary foundation, charts the lifestyles of various bloodsuckers. 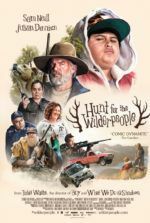 In reality, the film was distributed in the U.S. with the help of Will Ferrell’s comedy site Funny or Die after screening at Sundance; but Defender Films, Unison Films, and the New Zealand Film Commission produced it independently. And though it’s an indie release, the film has deservingly received a limited theatrical push, as opposed to the standard VOD debut of most indie title these days. Costars and co-writers Waititi and Clement headline the fanged foursome, each having originated in a different century and together representing a culture clash. Viago (Waititi), an 18th-century dandy who likes a clean house, occupies the screen most of the time. In the first scenes, he complains to his flat mates that they’re slacking on their chores; he even kills a victim by laying down newspaper and old towels to absorb the mess. Clement plays Vlad, aka Vladislav the Poker, who’s into torture and seduction. 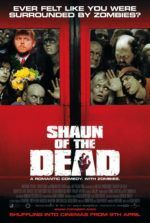 The youngest of them at 183 years old is Deacon (Jonathan Brugh), a rambunctious vamp who has promised eternal life to his devoted human slave (Jackie van Beek), a kind housewife so desperate for immortality that she’s not opposed to rounding up victims for her master’s meal. Rounding out the group is Petyr (Ben Fransham), an 8,000-year-old ghoul clearly based on Nosferatu. Each of them is funny and sad in their own ways. For example, Viago’s one true love married another man and, now a nonagenarian, she lives alone in a senior care facility; Viago floats outside her window at night, lovelorn. When a recently made vampire named Nick (Cori Gonzalez-Macuer) joins their nest, he brings along his best human pal Stu (Stu Rutherford) for bromantic support, and his newfound mates, who have agreed not to eat Stu, actually like the human more than Nick. But Nick and Stu provide a much-needed modernization for the group, introducing them to the internet and cell phones. And though the young bloodsucker may get his fellow vamps into nightclubs—where they were never able to enter before unless the bouncers invited them in—he also announces his vampire status to the world at large. This leads to a series of complications best left for viewers to discover. After all, What We Do in the Shadows is only 86 minutes long; writing about the plot too much risks spoiling the entire film. Suffice it to say, Waititi and Clement exploit the monsters-of-the-night scenario to its fullest, including appearances by witches, vampire hunters, some smarter than average zombies, polite werewolves (“we’re werewolves, not swearwolves”), and a dreaded appearance by… The Beast. There’s a lot of talent behind this film. In 2007, Waititi previously directed the quirky rom-com Eagle vs Shark—New Zealand’s pseudo-Napoleon Dynamite—which also starred Clement. And in 2004, he was nominated for an Oscar for his short film Two Cars, One Night. Meanwhile, Clement is one-half of the comic folk band Flight of the Conchords alongside Bret McKenzie. Together they imbue each moment with physical comedy, wit, and genre references galore (Vlad learned how to convince humans that their “Basketti” is worms by watching The Lost Boys). Aside from sharp writing and performances, the co-directors deliver a number of technical tricks that make for nifty onscreen effects. From practical makeup and blood to high-wire vampire hissy-fights, the filmmakers deliver the technical package with sharp eyes for detail. Production designer Ra Vincent creates a creepy old house that looks like it should be inhabited by vampires, and cameramen Richard Bluck and D.J. Stipsen never resort to unintelligible shaky-cam, despite the docu-style format. Familiar and worn as these various elements may be, the approach could have ended up kitschy in all the wrong ways. Look at Tim Burton’s Dark Shadows as an example, a near-bloodless film whose exploration of macabre humor is limited and almost child-friendly. Instead, What We Do in the Shadows walks—or hovers over—a darker edge, and that makes it funnier, and aimed less toward mainstream audiences and more toward cult crowds. Scenes where Viago accidentally punctures a carotid artery and soaks himself trying to capture streams of blood in his mouth, like a dog trying to drink from a garden hose, prove ridiculously funny. Or take how the vamps explain their penchant for virgin blood: Deacon admits, “I think we drink virgin blood because it sounds cool.” But Vlad explains, “I think of it like this. If you are going to eat a sandwich, you would just enjoy it more if you knew no one had fucked it.” Sounds reasonable.